Meg and Scott had a beautiful wedding in Palm Springs, California. The style and elements of their wedding were stunning and included so many personal details. 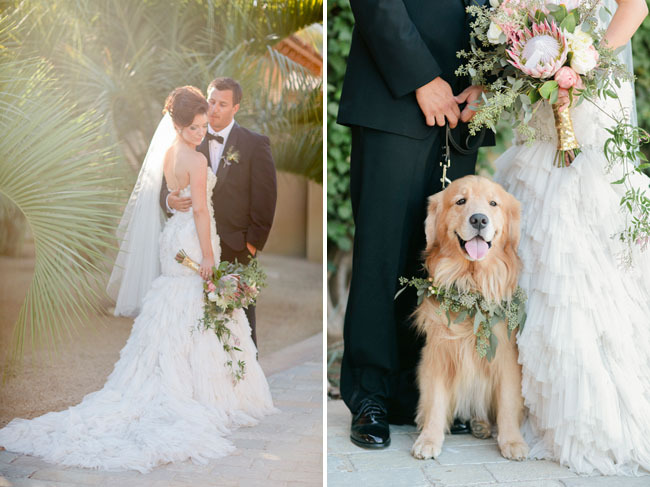 Not only did they have their families stand at the altar to symbolize the union of their commitment, but they made sure to include their completely adorable and furry four-legged companion Tommy. We absolutely loved everything about this wedding, check out more photos (and a video!) here!